100 years ago on December 15th, my grandparents married on my grandmother Myrtle’s 18th birthday. Weeks later, Grandpa Bill received his draft notice to join the Army infantry. Earlier, when he’d tried to enlist, he’d been turned down for medical reasons. Now, in December 1917, he was determined fit. He underwent basic training and shipped off for France where he joined the famed 42d “Rainbow” Division with …Douglas MacArthur. Over that late summer and fall, Bill fought in the savage campaigns and battles from Chateau-Thierry to the St Mihiel Salient and on through the Meuse-Argonne. Join us next July 1-7, 2018 as we explore America in the Great War and follow our forefathers footsteps through the gorgeous countryside of eastern France. The contributions of the American doughboys ensured Allied victory and we will honor them at this centennial. This would be a fantastic Christmas present for your self or ones you love! Check-out the link below for more information! The picture is of the Buhring clan in 1942 — Bill and Myrtle are in the back with son Herman in the Navy on leave. Albert, also in the Navy, is missing from this photo. My Mom, Lois, is 2d from left in the front row; her birthday, in 1933, was also on December 15th!. 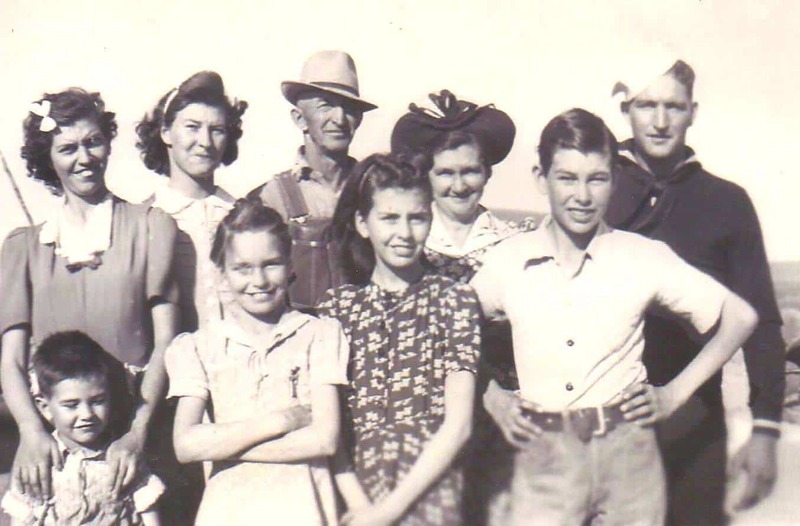 This is an honest American farm family from Colorado — when the country called, the Buhrings came. Here is a very interesting article on the importance of the US in the Great War, and the importance of remembering. We will be leading a phenomenal expedition to France next July 1-7 to do just that — remember America in World war One. The beautiful French countryside adds to the trip! Check-out the link below for more information on this amazing adventure!